Your clients could find themselves in this situation if not adequately prepared. In this brief guide to Medicaid estate recovery, I’ll lead you through some common questions (and answers), so that you can help your clients address potential Medicaid issues during the estate planning process. Whose Estates Can Be Recovered? Generally, decedents in these categories were residents of a skilled nursing facility or institution. Keep in mind, however, that Medicaid recipients who lived at home and received long-term care benefits through Medicaid’s home and community-based services (HCBS) are also subject to estate recovery. Which Assets Are Subject to Recovery? Assets that can be recovered from a Medicaid beneficiary’s probate estate include all assets distributed through a last will and testament or through intestate administration for an individual who died without a last will and testament. But a state may actually expand its estate recovery program beyond what the standard federal law requires. Expanded recovery programs. These programs could reach assets that pass directly to the decedent’s beneficiaries. 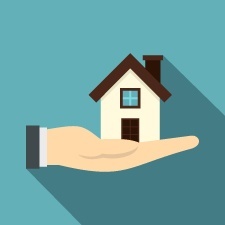 These assets may include, for example, legal title to an asset held in joint tenancy with survivorship rights or the remainder interest of a living trust, annuity, or life insurance policy. Generally, states with expanded recovery programs will seek to collect the amount of Medicaid paid on behalf of the deceased recipient up to the value of his or her ownership interest in the asset immediately prior to death. How Else Can a State Recoup Medicaid Benefits? Although not considered estate recovery, states can recover money from the following assets. First-party special needs trusts. Medicaid recipients who required long-term care at a younger age may have been the beneficiary of a first-party special needs trust. If so, they initially owned the funds used to establish the trust (e.g., a court may have awarded the individual a sum for a personal injury lawsuit related to a birth injury). Assets remaining in such a trust are not subject to estate recovery. But federal law does require a first-party trust to contain a pay-back provision, and the state Medicaid agency will recover the amount of Medicaid services paid during the beneficiary’s lifetime from the balance of the trust’s assets. Medicaid annuities. An annuity purchased as part of the spend-down of assets is not subject to Medicaid estate recovery, but beneficiary designations are not the same as those of traditional annuities. Under federal law, the state’s Medicaid agency must be the primary beneficiary and will receive the remainder of the annuity up to the amount of benefits provided to the deceased Medicaid recipient. How Much Is the Medicaid Lien? State law determines the creditor priority of the Medicaid lien, and Medicaid estate recovery cannot exceed the amount remaining in the estate after the claims of creditors with a higher priority have been satisfied. Can Estate Recovery Be Delayed? Are There Procedural Protections in Place? Notify recipients about the estate recovery program during the initial application for Medicaid eligibility and annual redetermination process. Notify survivors about the initiation of estate recovery and provide them with an opportunity to claim a hardship exemption. Establish procedures and criteria to waive recovery in instances of undue hardship. A few states have partnership programs that encourage more people to purchase long-term care insurance. In these states, policyholders who apply for Medicaid after exhausting insurance coverage can have certain assets disregarded during the Medicaid eligibility determination and made exempt from Medicaid claims against the estate after death. The state benefits from the private-pay source available to the potential Medicaid recipients. After long-term care insurance benefits run out, Medicaid then operates to provide safety-net coverage for very long nursing home stays. As I hope this general discussion demonstrates, potential long-term care needs should be considered during the planning process. Be sure to remind clients that assets that are exempt for purposes of determining Medicaid eligibility are not automatically exempt from recovery proceedings; their state may require the sale of these estate assets to satisfy the Medicaid claim. Finally, because Medicaid estate recovery rules are very complex and subject to change, clients should seek legal advice from an attorney with experience in Medicaid and eldercare issues, both in their state and at the federal level. Have you helped your clients through the estate recovery process? What other questions have you heard? Please share your thoughts below!